A few decades ago, telephones were the devices used for immediate and urgent communication. It rang loudly to catch attention, and families waited in anticipation to know what news was being received. A few years later, pagers came into picture, where short message texts were sent to deal with cases of emergency and urgency. No one then would have been able to guess that there would soon come a day when communication devices would simultaneously allow users to make and take calls, as well as send and receive text messages. Moreover, all this from a wireless, hand-held device! Cut to today’s lifestyle, where a typical phone would be a smartphone, and calling and sending text messages would be its basic functionalities. Over the years, technology has come a long way and has brought together, way of life and way of communication. Businesses of all kinds now understand the importance of having an online platform to connect with their end-users, and the indirect brand value that comes with such a connection. For most ventures, this essentially translates to investing in designing mobile applications, which are windows of software that help users stay connected to businesses. It also uplifts the sense of purpose of a product or service, and ensures that customer requirements are met with far more accuracy at faster intervals. This continuing shift in the operation of businesses, from the waterfall method to agile, has resulted in quality assurance being a part of the software lifecycle from much earlier stages. Effective mobile testing of countless applications demands a certain set of procedures to be followed. 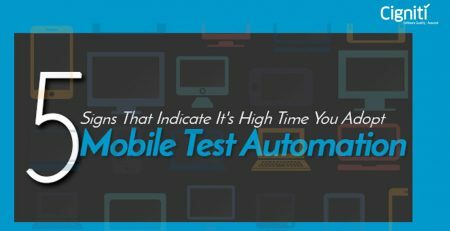 In this blog spot, we discuss the various stages of testing and how mobile application testing varies at each stage. We also explore the various ways to efficiently carry out mobile app testing. Pre-development testing involves creation of test scripts manually, or with mock-ups in the case of automation. This is also a method to generate test documentation, which can be used to determine if the tests could be used in multiple environments. Manual test cases should ideally be shared in an HTML format, in order to enable easy access among QA engineers. More specifically, in the case of test driven development, writing of the test cases requires that adequately defines a function or improvements of a function. In order to effectively achieve this, the QA engineer should understand the specifications and requirements of the feature. Pre-development testing involves creation of test scripts manually, or with mock-ups in the case of automation. Paper prototype testing: The importance of design cannot be stressed upon enough. Paper prototyping is theoretically simple, yet many QA engineers shy away from using it to its potential. Paper prototyping invites opportunities of collaboration and can even be carried out with hand-drawn sketches. The approach of usability testing results in valuable feedback, which is in turn used to develop an overall better design. Comprehension of usability also helps in the later stages of the project, as there is certain value in fine-tuning user interface details. However, late-stage changes impact the end user experience much lesser than the fundamental changes made early on in the design. Testing a Competitor’s App: In the case of spearheading in a niche market, there may be no scope to observe a competitor. However, that would mount to “first mover advantage”. In case such an advantage is not evident, there would be plenty of benefit that comes from competitor advantage. Through splitting the test cases into two parts, a set of tasks to be performed by the user would be written. Next, proceed to testing the same set of tasks at both ends – your, as well as your competitor’s end. Given the time that testing takes, it would be a natural instinct to skip this step. However, by utilizing this option, there would be a certain context setup for the testers, and also a comparison-based feedback would result in more honesty. Setting up a Timeline for Testing: In order to execute a specific project, it becomes necessary to accurately draw estimates. Although estimates may not represent the actual time taken, they are useful when looking to create realistic scenarios. Experience plays a massive role when it comes to estimation, as the approximate time for a specific testing task can only be accurately assessed by someone who has already executed such a task. Things like bug-fixing, availability of resources and scope of the project are basic in order to come up with precise estimates. Knowing your team is also an important factor while looking to estimate the testing timeline. Understanding your team’s strengths and weaknesses, and individual productivity levels can result in a delay of the deliverables. As a means to test the efficiency of a particular functionality, usability testing allows a realistic representation of how users find the functionality of a given application. Characteristically, throughout the test, participants will attempt to complete the usual tasks while the onlookers watch, listen, and take notes. The objective is to ascertain usability glitches, gather qualitative and quantitative information, and conclude the participant’s fulfilment with the product. It is a black-box testing technique and essentially requires little to no knowledge about the system architecture. It determines the ease of using a software, and how conveniently users can navigate the webpage and perform the necessary tasks. Though economical when well-planned, usability testing is often highly beneficial and effective. Here we explore a few types of mobile app testing that could be executed as part of usability testing. Basic Wireframes Testing: A wireframe is a basic version of the website. The point of focus here is not the visual appeal of the website, rather it is just a frame that holds the basic concept of the website together. Navigation testing is utmost important at this stage, along with a website built on a comprehensive framework. The page layout and web interface with other elements are also equally important. This is a valuable stage in the usability testing, and must not be hurried for the sake of quickly getting through the project. It is important to figure out through testing the details about the website, including missing features and being able to find things on the webpage with ease. Third-party testing: Third-party or outsourced software testing is when the product is tested through an unbiased third-part testing vendor. Apart from reducing the cost of the software, third-party testing assures enhanced quality of the software. In order to detect critical defects and their subsequent effective elimination, third-party testing is crucial. Anything that may seem ambiguous can be addressed through such testing. It balances the software system, which benefits the client as well as the vendor, and saves money and effort by ensuring that the number of errors coded are mitigated to begin with. Overall, it reduces the client’s workload and also minimizes the number of defects that seep into production. Outsourced software testing lessens the testing cycle’s time because they have dedicated teams for software testing. This is undoubtedly an enormous advantage particularly for businesses that are in a rush to deliver software in the market at the earliest. A Comprehensive Design Overview: A comprehensive design overview goes a long way in giving the overview of an interface. This comes post the conceptual direction and content strategy and is a part of the user experience. As we start focusing on the visual design, a comprehensive design overview helps user testing within a prototype. The design needs to be scaled according to the device it occupies. There is a wide scope to explore creatively what can be part of the design after careful testing. It is important to break down the functional capabilities before asking users to test the static-screened prototype. An appropriate level of context and direction of the path need to be specified in order to receive honest feedback. Pre-release Testing: Alpha testing is the pre-release testing by end-user testers or representatives at both developer sites as well as their own sites. It is a type of acceptance testing, and is referred to as alpha testing only because it is executed early on, near the end of the development of the software, and prior to beta testing. Before an application is officially completed, minor design alterations can still be made in this phase. Alpha testing is usually done through simulation, or by potential customers, or even by an independent testing team, at the developers’ site. Pre-release testing is frequently employed for software that is off-the-shelf, as a sort of internal acceptance testing, before the software hits the beta testing phase. Post-product Launch Testing: It is essential to perform testing of the mobile applications post their launch. Irrespective of the success of the apps in terms of revenue generation, it is still necessary to follow along a few metrics. A range of user statistics are crucial, from the features that people are drawing in, to the points where they’re dropping off. Such information gives details about the application, which can further be tested to make more productive, efficient, and successful. Customer support is part of this user testing phase, where complaints by the customer need to be promptly attended. Acting on such feedback drives the need for improvement of the apps and results in enhanced user experience. In the technology world, compatibility is the checking of whether your software is proficient while running on diverse hardware, operating systems, mobile devices, applications, or network environments. Compatibility Testing can be classified as a type of Non-functional testing. Testing of the application must be categorically done in numerous mobiles devices, across various browsers, within different screen sizes and on multiple OS versions, strictly keeping in mind the requirements. In order for your brand to sustain in the highly competitive market, it is business-critical for the software applications you provide as software vendors prove their worth to your clients. In order to deliver a product of good quality, it is important for the application or software to undergo different stages of development in terms of compatibility, quality, delivery, and reliability. Here, we take a look at three important types of compatibility testing for mobile applications. OS Versions Testing: When your code is ready to be tested, it is vital to test it on multiple operating systems (OS). Not all the tools may be available on a particular operating system, due to which there would be a significant variance among the tests. After tools, language availability is another important feature, as not all languages of operation may be available in all the operating systems. It is prudent to check what all languages are available. The file system behavior can also greatly vary. Commands need to be investigated case by case. time-saving to identify which category of applications has the maximum number of downloads for mobile phones or smartphones. 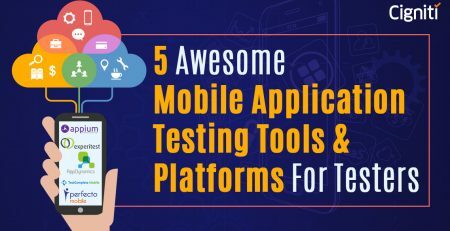 This helps in understanding the context of using the applications, and hence helps perform more effective functionality testing. In addition, it also gives QA engineers an idea as to how to prioritize for effective testing. Replication of Bugs: A bug report consists of the bugs in the system that were not resolved. Before reporting the bug in the report, it is strongly advisable to try and replicate the bug on other mobile devices. This provides a better scope of the bugs resolution, rather than automatically adding up to reported bugs. Periodically, there are bugs that are reported and yet no solution would have yet been found. At times, however, specifically in the case of bugs in race conditions, it is more efficient and makes a lot more sense to simply follow the code. Spending huge amounts of time generating a test environment has a danger of not even being able to expose the problem, to begin with. For any mobile application, user interface (UI) is critical. It is crucial to get the right look and feel, in order to enhance customer experience. UI also means ensuring that the app is easy to navigate and functions as per expectations. 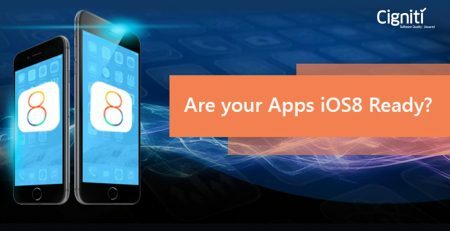 QA engineers need to have enough knowledge about app functionality to understand what other areas would have a corresponding impact, as the app in question is subjected to testing. Screen Resolution: The face of the mobile, consisting the eyes and ears, screen resolution is an extremely important feature in a mobile phone. The ratio needs to be appropriate in order for information to be displayed effectively. The average user will have little to no patience for errors in this department, and its neglect could mean a death penalty for your brand. Screen resolution consists of various aspects, where the testing of a screen in done keeping multiple factors in mind. Screen size testing, screen orientation testing, virtual keyboard orientation, and page adaptation to virtual keyboard operation are some of the most crucial features. They need to be tested to perfection, across all the devices that are set to hit the market. Screen Size Testing: It is advisable to begin the testing of the mobile screen size from smaller sizes and expand to larger ones. This gives clarity on a number of things, ranging from page load time to animation on the screen. It becomes easier to deal with the visual placing of the screen and allows more room for uniform customization. Screen Orientation Testing: Touch screen mobiles have this as part of basic requirement: to be able to freeze the screen in place, or rotate it on command. This calls for investment in quality accelerometers, which can detect phone movement and can automate screen rotation. In addition, if the user is performing multiple actions, such as taking a call via a hands-free device, the phone should be able to still recognize the need to rotate the screen, provided the screen is being operated. Such instances call for detailed edge cases for testing. Keyboard Orientation: Deceivingly simple sounding, the virtual keyboard orientation is an extremely important feature. Without any overstepping, the screen needs to be effectively occupied, whether in landscape or in portrait. For a wide range of mobile screen sizes, this is quite an exercise, but it either makes or breaks user experience with the mobile phone. Pages and Keyboard: In continuation to checking how the virtual keyboard functions, it is also important to check that the full page is visible and functions perfectly well when the virtual keyboard is closed. Similarly, when the virtual keyboard opens, the page display should adjust accordingly, with the information flow being well intact. Button functionality testing: Buttons must be big enough to accommodate finger tips that are larger in size. The functionality of the buttons need to be thoroughly verified and each button must be firmly linked to a mapped destination. Few models are associated with hard keys for the menu, home button, and back option. It should work when the app is up and running, to get the user out of the app. Application functionality testing: In an unscripted process, no test scripts are required, and testers can freely run through the functionality effortlessly until they encounter a bug. This process must be accomplished in a single run, rather than conducting multiple test scenarios. Load testing: Load testing is performed mainly in order to find the maximum threshold limit for optimum app performance, for both the users, as well as data. App location testing & Time zone compatibility testing: It is crucial to test that informational entries made from around-the-world should be sequenced in a chronological order. Social integration testing: The application should permit social sharing and cannot afford to land in crashes every time the desired action (of sharing) is attempted by the user. It is important for payments-related mobile applications to be tested in a secure fashion. A testing tool can be used for such an approach. Once your mobile application is uploaded onto a testing tool that offers the service, the tool downloads your app. It then proceeds to test the app in layers for security vulnerabilities and flaws of the app. Once the testing is complete, a comprehensive report can be formed, displaying the security vulnerabilities contained in the app. Whether testing android devices, iPhones, or devices running on other operating systems, it is of extreme importance to test the feature of in-app purchases, in line with Google’s reserved product ID and also in iTunes Connect and on your development iOS device. It is important to test and see that the apps are stable when in-app ads are accessed by users. Mobile application security testing, installation, and operational testing of the applications are other important functionalities. SSL Certificates: A hacker in the right place at the right time can view sensitive information and manipulate website traffic. Without sufficient authentication of SSL certificates, a hacker can temporarily supplement a genuine SSL certificate with one under his control. This allows him to view or influence sensitive material submitted by the end-user. Mobile app users who repeatedly associate with untrusted public wireless networks are in jeopardy from rogue access points. Server Testing: When a mobile app user attempts to access your services via the internet, it is important to certify security. It is futile to design a highly protected app if there are deep holes in the servers which allow for the storage and processing of end-user data. The converse, i.e., when your servers are entirely secure, yet an app has an abysmal security design, is true as well, which puts your data at risk. Cigniti Technologies provides a comprehensive mobile application testing strategy for getting applications to market on time and within budget, thereby providing value to customers. Cigniti’s Mobile Testing approach encapsulates the entire software testing life cycle to ensure quality deliverables by leveraging our Mobile Test Center of Excellence. In addition, our performance testing consultants understand systems, networks, and software architecture. We decompose and recompose software systems to enable bottleneck exploitation and work directly with your developers to develop performance tests and analyze systems. With so many performance testing tools (proprietary and open source) available out there, choosing the right tool set is not easy. We consult with companies to help identify the right approach for their performance testing needs. Cigniti also offers an in-depth security analysis, supported firmly by comprehensive reports and dashboards, along with remedial measures for any issues found. Cigniti has deep expertise in Security Testing for web applications, mobile applications, software products, and web services, both on the premise and over the cloud. Cigniti provides comprehensive Compatibility Testing services that can be performed across a variety of Operating Systems, browsers, databases, servers, hardware, different versions, configurations, display resolutions etc. In addition to these services and many more, Cigniti Technologies has recently launched BlueSwan, our proprietary testing services platform. It is our constant endeavor to provide best-of-breed services to our clients. In order to assure that aspect is fulfilled, we have partnered with the best tool-specific vendors in the industry. At Cigniti Technologies, quality is assured. To learn more about us, visit our website and get in touch with our experts.